https://www.tradebit.com is a social networking and micro blogging platform which allows users to send text updates via web, SMS, instant messaging. Users have their own profile page that displays their latest updates. In addition, users can become "friends" with one another, or simply be a "follower." Other than reading another person's profile page, a user can also receive others updates through SMS, RSS, IM or 3rd party applications. 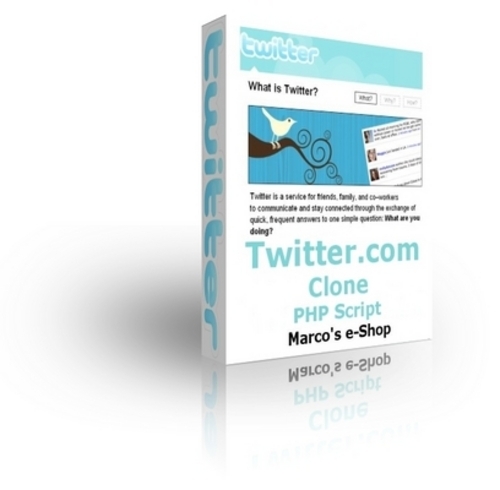 This is a PHP micro-blogging social networking software that allows you to start your own site just twitter and Jaiku at an affordable price! **** Authorized by Marco's e-Shop for use of cover art.